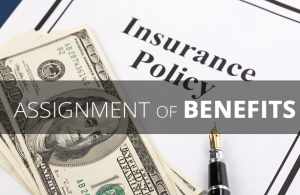 Assignment of Benefits (AOB) abuse is a fast-growing fraud scheme that is hurting Florida’s insurance consumers. While AOB is a long-established legal tool intended to allow vendors to receive prompt payment from insurers after doing emergency repair work in a home – without having to directly involve the homeowner – this process is being abused by a cottage industry of unscrupulous trial lawyers, water remediation firms and roofers. These bad actors are persuading homeowners to sign over the benefits of their insurance policies as a means for fraudulently inflating claims, filing thousands of lawsuits against insurers, and driving up attorney’s fees. PIFF recognizes the usefulness of Assignment of Benefits but recommends legislative reforms be enacted to prevent AOB abuse from becoming a statewide consumer crisis on par with sinkhole claims abuse and PIP auto insurance fraud, which resulted in increased premiums for Floridians. PIFF supports a change to Florida’s “one-way attorney fee” law so that businesses that sue insurance companies are required to pay their own lawyers – just like they do when they sue any other business. PIFF also supports legislation that will end referral fees between vendors; require detailed written estimates for work to be performed by a vendor; prohibit unlicensed adjusting by vendors; and put reasonable limits on how much work can be performed before the insurer is able to adjust the claim. Visit FightFraud.Today and sign the petition to let members of the Florida Legislature know that you want to stop scams on Florida Homeowners. To learn more about how Floridians are being victimized, read their stories today. Downloadable brochure supplied by the Department of Financial Services in English and Spanish. “Red Flag Checklist” in English and Spanish. Consumer Tips provided by the Department of Financial Services. Click for the Spanish version. Call your insurance agent with further questions.